As we all know that Pakistan Day is coming to town soon. 14 August is a day we Muslims got freedom from Non-Muslims. It’s a Day when Pakistan came into being. We Pakistani must owe to our Quaid who made us liberal not only in thoughts but in choice as well. Every Pakistani who’s engaged to social media loves to make its WhatsApp or FaceBook DP or cover concerning Pakistan Day. It’s a way to show love for the country. Many Pakistanis love to upload display images with some cool patriotic status. While others just make Pakistani flag or Quaid e Azam as their display photo. 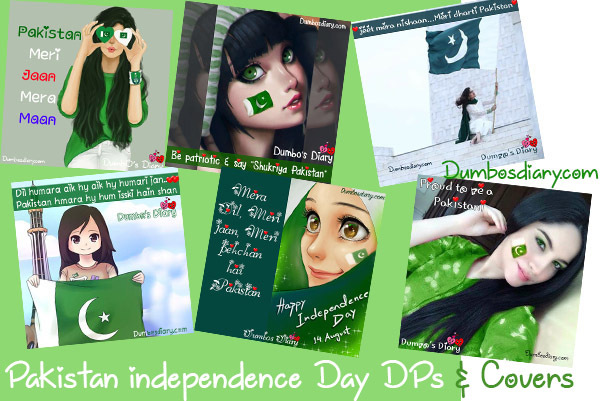 Here I’m sharing some Pakistan Independence Day DPs and Facebook Cover photos for all patriotic Pakistani. Pick up the one you like most and make that image as your FB cover photo or DP on this Pakistan Day. You can also use these images as your WhatsApp DP.